Post subject: February 2 - Community Celebration! Come join us! Great opportunity to meet our new Sheriff! Last edited by Sundancer on Jan 21, 2019 10:00 am, edited 1 time in total. Upcoming community event and silent auction! “Can we get out alive during a wildfire?” is a question many of us ask ourselves. 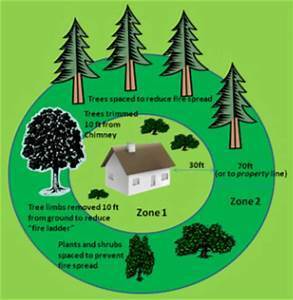 This may quickly be followed by, “What can I do to be prepared and improve my chances?” Fire Adapted Bailey is a non-profit community organization dedicated to improving wildfire safety in Bailey. Roadway fire mitigation in strategic areas has been identified as a critical step in evacuating large numbers of people and saving lives. 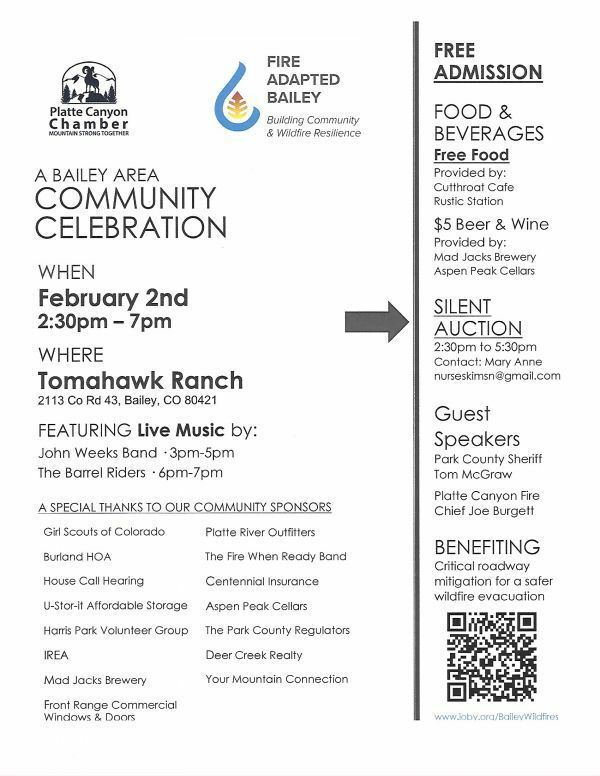 To aid in this endeavor, please join us for a community celebration and fundraiser on February 2nd at the Tomahawk Ranch. We have a terrific silent auction lined up and are always looking for more donations to take it over the top! Items could be artwork, jewelry, household goods or services, gift cards, themed baskets, or experiences such as a day at a Denver museum or outdoor event. Maybe you know someone who can’t use tickets to a Denver sports team? Or someone who would donate a couple hours of fly-fishing lessons, or a few days at a timeshare that will go unused? The sky’s the limit! All items will be greatly appreciated. and let the fire pass. Scary thing, but have a better chance of making it. Looks like a fun & worthwhile event!! Yes, a great opportunity to meet and greet and learn a bit here in the middle of the winter. By the way, don't forget to get your Silent Auction items together and contact Mary Anne at the email listed above in the ad. This is such a great opportunity for us to make a difference in protecting this community. Looks like we will have nice weather for this event! I hope everyone is planning to be there. Saturday is the Big Event!! Come on out for a Good Time and a Good Cause. and many items that you have to have offered in our Silent Auction. Proceeds from this Community Celebration will be used to fund the mitigation of our evacuation routes. Most of our Bailey communities only have one route in, one route out. If a wildfire overruns your route, you are stuck in a horrifying situation. Mitigating our evacuation routes increases your chance to survive a wildfire event. Come on out and support this worthwhile cause. with your neighbors and friends and say "YES" to this effort to make us safer.